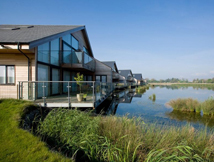 Waters Edge is a unique collection of holiday homes located in the heart of the Cotswold Water Park. Each property boasts stunning views over the 28 acre lake, with private decks suspended over the water’s edge. 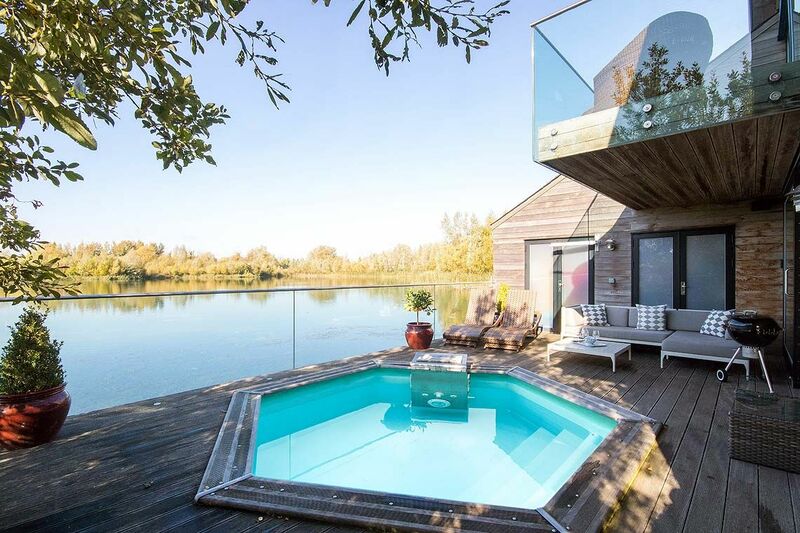 These contemporary holiday homes utilize the natural landscape, with extensive use of glass to optimize light levels, providing wonderful views of the UKs largest wetlands nature reserve. The properties are modelled on Scandinavian style lodges and the sheer size and nature of these properties lend themselves to being the perfect choice for group holiday bookings, large family gatherings or a getaway with friends. 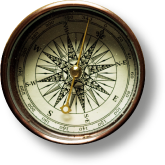 Accommodation comes in two different types: 3 bedrooms, all with their own private ensuites, or 4 bedroom, 3 bathroom properties. Downstairs, there is oak flooring throughout and the living/kitchen/dining area takes advantage of the idyllic lake views. The bedrooms are extremely spacious, with ample storage, and the master bedrooms benefits from its own private balcony. 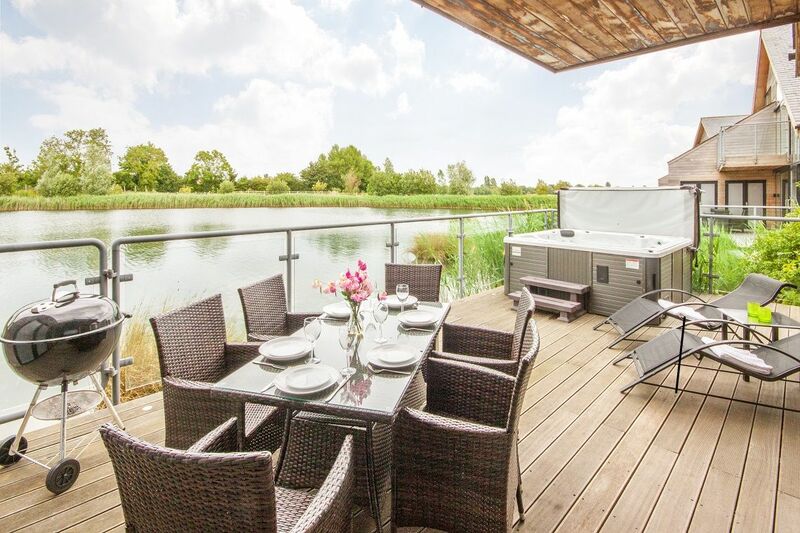 The large sun deck offers leisurely lakeside dining, and, even when the weather is not kind, the open plan living and dining areas allow you to appreciate the stunning, and sometimes dramatic, natural landscape in all seasons. 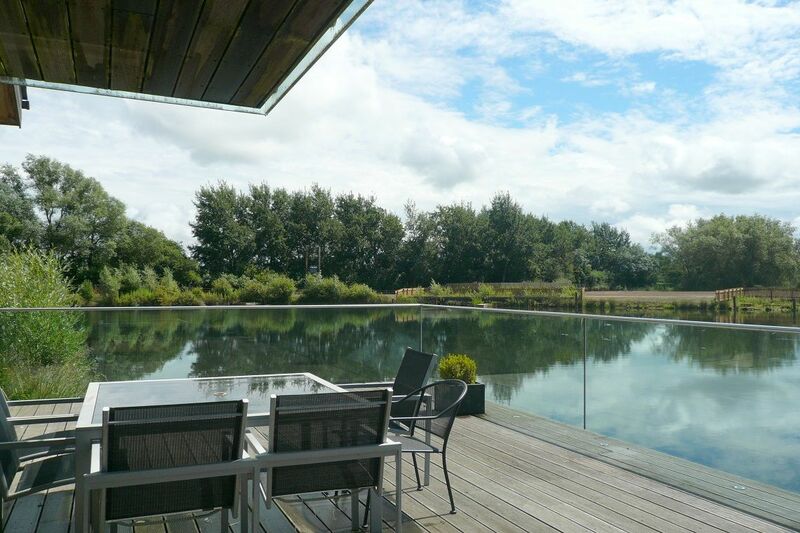 Either way, Waters Edge is amongst the finest of lakeside holidays in the Cotswold Water Park. Please note: Pets can be accommodated in some properties. Please do ask on the point of booking. A charge will be incurred for the additional cleaning costs. 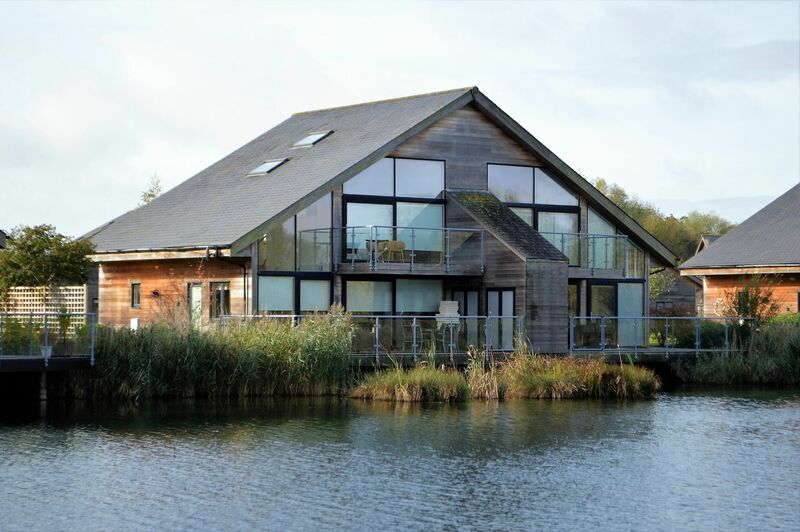 Waters Edge is located in the heart of the Cotswold Water Park, an internationally recognised area for wildlife and outstanding natural beauty. There are many foot and cycle paths that run around Waters Edge and water sports are in abundance on the surrounding lakes. Located on the other side of the crossroads to Waters Edge is Spring Lake, which boasts The Lakeside Bar and Brasserie. Use of Lakeside is open to anyone and offers an excellent bar, restaurant and extensive water sports opportunities. Lakeside is less than a 10 minute walk from Waters Edge, thus making it an excellent spot to enjoy lakeside life. For more information visit the Spring Lake page. There is also the South Cerney Outdoor Education Centre opposite Waters Edge, which offers a number of courses and activities for various levels of expertise. Guests may also use the facilities within the De Vere Cotswold Hotel Complex, located a 2 minute drive away. This includes a brasserie, bar and Spa 6, one of the premier spas in the Cotswolds. (Please note: entrance to the spa is not included in the price of your stay). Adjacent to this is The Old Boathouse, serving fine, lakeside cuisine. 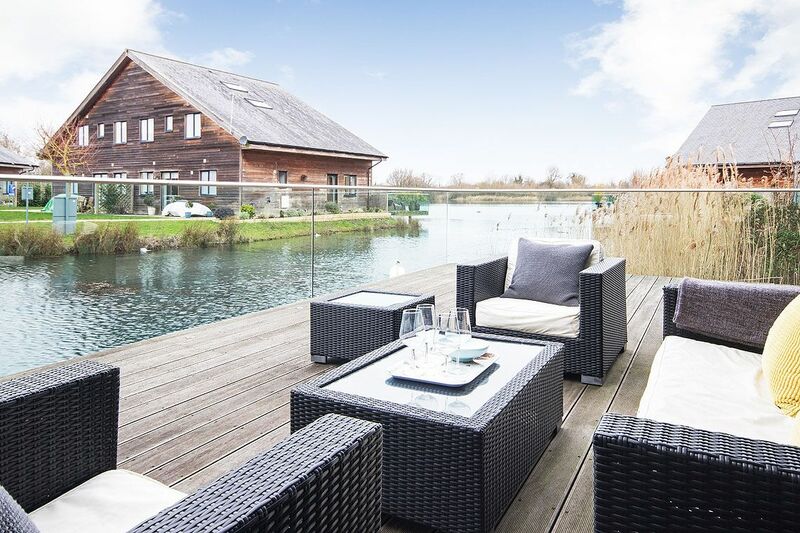 The picturesque villages of South Cerney and Cerney Wick are also located within walking distance of your holiday home, both of which offer a number of amenities, including a choice of country pubs, a local shop, takeway, hairdressers and post office. 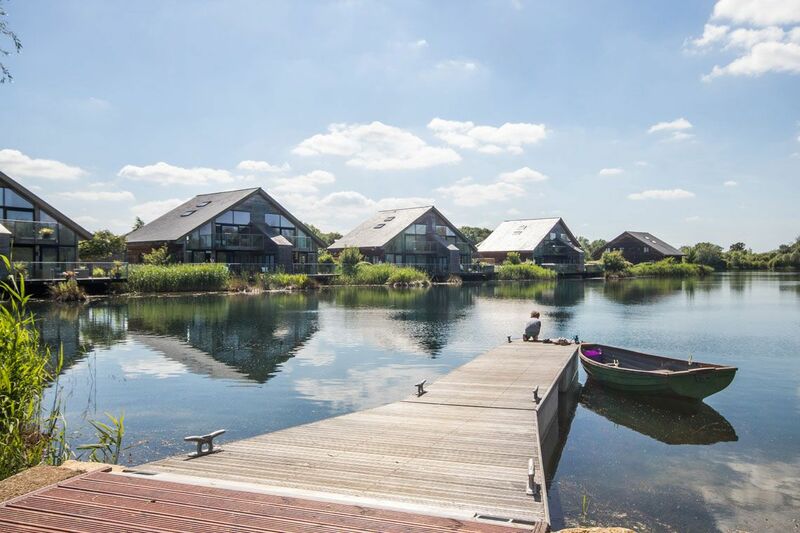 These fantastic holiday homes are situated right in the heart of the Cotswold Water Park making them an excellent base to explore the Cotswolds from. 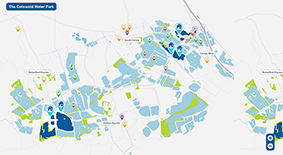 Cirencester, “the capital of the Cotswolds”, is a mere 10 minute drive away, and Waters Edge is also a great base to explore a number of vibrant cities and towns from, such as Cheltenham, Bath and Oxford. 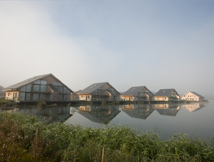 Waters Edge – important location information – Waters Edge offers contemporary lodges in a spacious lakeside setting, the first three phases of which are now complete with the final phase still to be completed. Our properties are situated within the first completed phase, with views of the lake from the main living areas, master bedroom and deck. Prices have been set below market price to reflect the fact that the development is not yet complete, the final unfinished phase of the development may be visible from the deck of the property at the opposite side of the lake and some works on the grounds/properties may be taking place during your stay. If you are at all concerned about how this may impact your stay, please call us on 01285 861839 when we will be happy to provide you with further information. • £250 refundable security deposit is required?